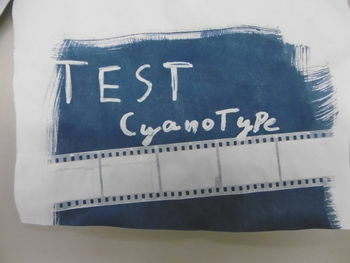 Now you too can make cyanotypes from the comfort of the space. 11. Don't forget to clean up! There is a box of old transparency sheets in the box marked "Kantoor Suplies" these can be drawn on but are NOT laser printer safe! This page was last modified on 1 August 2018, at 16:11.